9 Foot Roulette Tables: Kardwell Casino Roulette Tables are Hand-Crafted in the U.S.A.
Our casino quality roulette table measures 108"L x 48"W and can accommodate a 27" to 32" roulette wheel (sold separately). 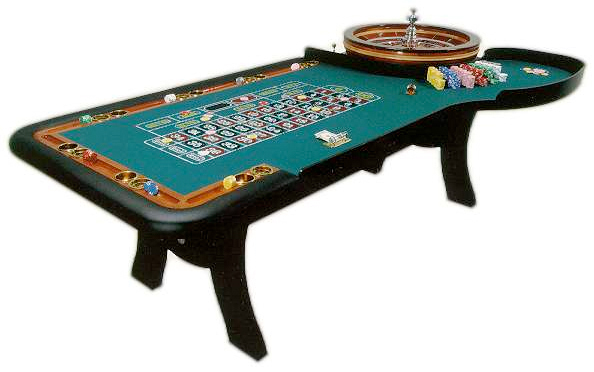 It is offered in standard and custom styles, so you can get a roulette table that meets your specifications. Please call us for further information about custom roulette table accessories. For additional information on our ROU1200 Casino Quality Roulette Table, please contact us at 1-800-233-0828. You might also be interested in our Eight-Foot ROU1210 Casino-Style Roulette Table, our Eight-Foot ROU2910 Casino-Quality Roulette Table, and our selection of Roulette Supplies.